I will soon be teaching (for the fifteenth time) an introductory course called Fractals and Chaos. The students are middle and secondary school math and science teachers. 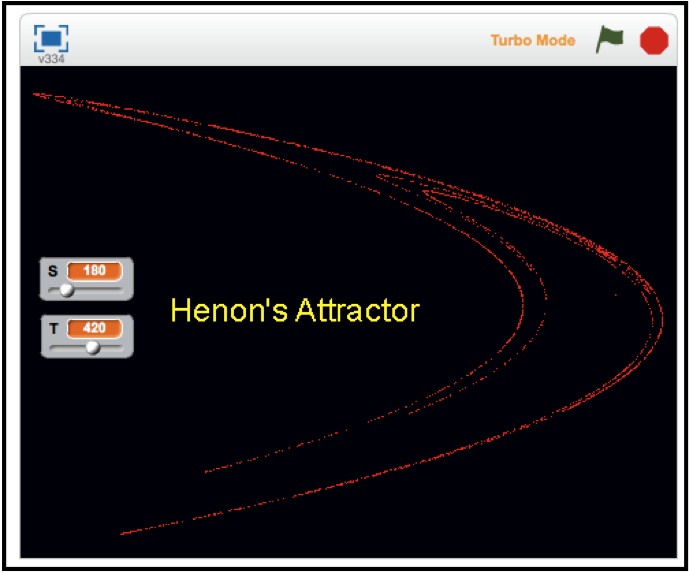 As part of the course, they are required to do a certain amount of programming and I have been converting the program assignments from another language to Scratch. 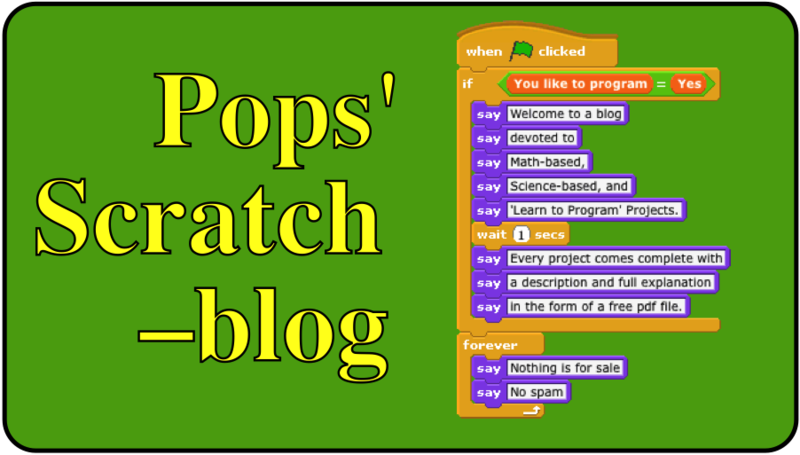 Below are just three of the conversions that have been uploaded to My Stuff on Scratch. 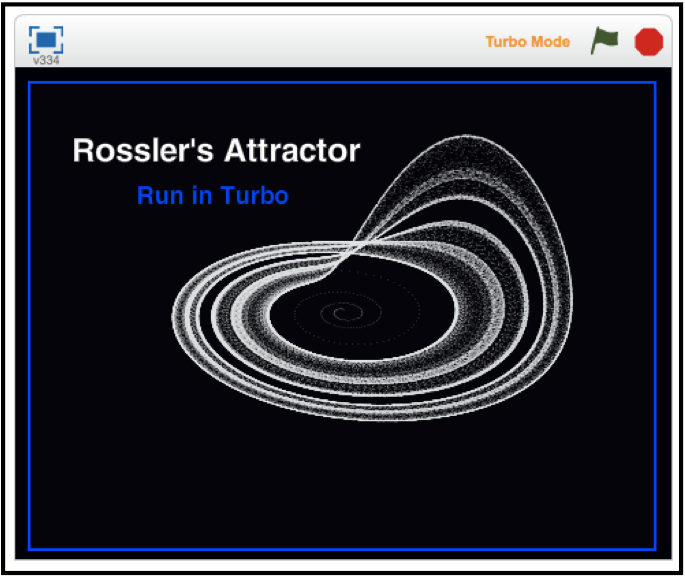 The first two projects are examples of what are called strange attractors. 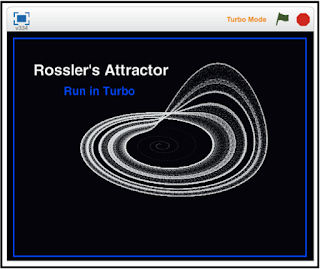 The first really famous strange attractor was the Lorenz attractor (already in My Stuff). Before attempting to understand strange attractors, we study the concept of a mathematical attractor using a simple linear equation and iteration. 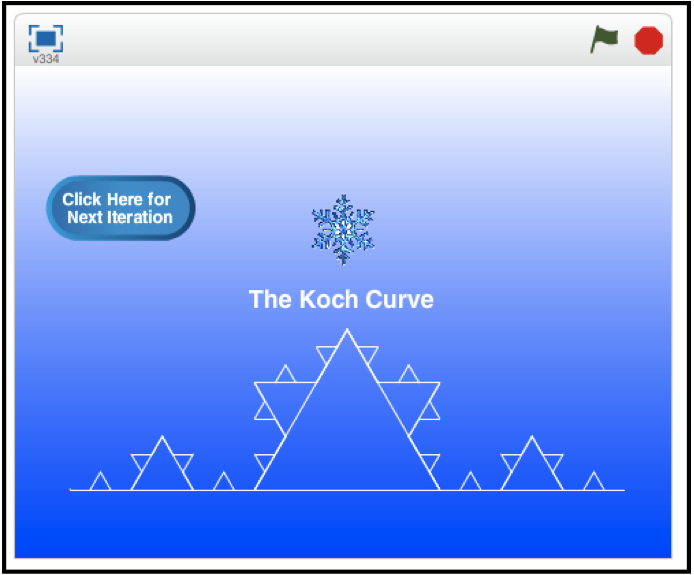 One of the curves that forced mathematicians to redefine the definition of 'curve' was the Koch snowflake. 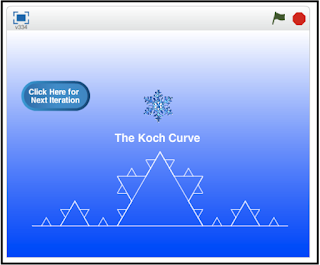 The snowflake curve is an example of a similarity fractal. It's mathematical properties are counter-intuitive. For example, it's perimeter is infinite in length but it bounds a finite area. Students are assigned the task of constructing their own similarity fractal. Additional information about each of these projects (in the form of PDF files) can be had by sending an email request to grandadscience@gmail.com.